To get brilliant photographs, it is not important to capture them by professional cameras only. Some people have the talent to think out of the box and to do things out of the box like Smartphone Photography. 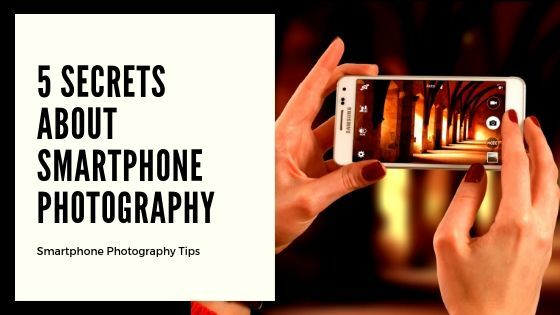 Digital mobile phone can also give you brilliant photographs which look like professionals if you have that talent and know the tips and tricks while doing mobile photography. When you are up for it, you should apply some tips and tricks which will give you brilliant photographs just like the professional camera delivers. You can capture brilliant portrait photographs too using mobile phone and with the help of some great portrait photography ideas. To make the photos clicked using a mobile phone’s camera look professional you can use some exceptional Photo Editor Apps for Android. 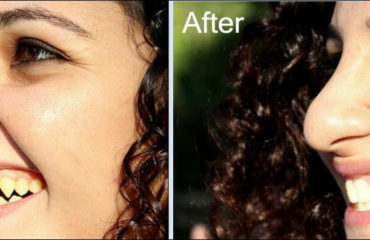 If you want to utilize them for business purpose you can retouch those images using professional photo editing services. But without a perfect photograph editing it will be a waste of time and money. So, it’s better to concentrate on capturing pictures with phones then editing will help. 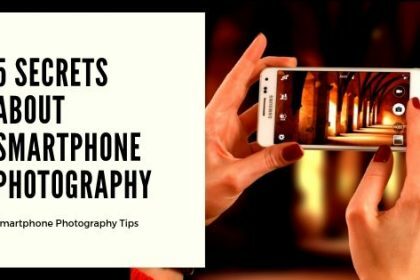 Still, to make it easier for you to capture outstanding images using these latest digital mobile phones we have sorted out some great tips. Here the tips and tricks which will help any of the android phone photographers to click brilliant photographs. Without waiting further let’s start! The first step for photography like a professional is to have a Digital mobile phone which has great camera pixels. The higher megapixel camera your phone has the better photo quality you will get. Sometimes the mobile cameras having lower megapixels can deliver hazy and unclear photographs. So you should buy a Digital mobile phone which has all updated functions in the phone with a very good camera quality. You can go and check which phones are having better quality cameras. 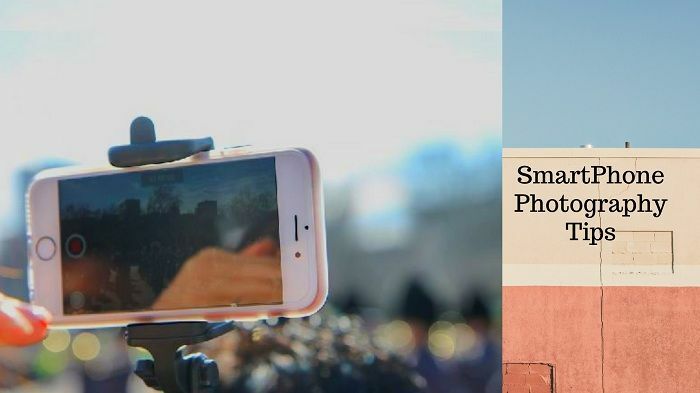 I would suggest you to go for iPhone 8 or iPhone X for starting smart phone photography. After getting a phone with a better quality camera, the next thing you have to do is to know the settings of the camera and remind them while photography. A wrong camera setting can result in you a bad looking photograph. Adjust the camera settings according to your requirement. Adjust the contrast, hue, exposure, focus etc. before starting clicking photographs by your Digital mobile phone. Remember, a better quality photo is very much dependent on the settings of your phone’s camera. Filters and effects are like magic for photographs. You may have many filters and effects on your phone camera which will add extra quality to your photographs. Different phone has different filters and effect working in different ways. After choosing a filter, you have to adjust the radiation of the filter. But it is not important to go for filters all the time. Sometime, the filter may not give you a natural look for the photo. Filling high radiation filter in the photo might give your photo an unnatural look and the photo may look too over the top. So, select the filters very carefully and start working. External lenses are very much in demand and available in the market now-a-days. Everyone does not want to carry a heavyweight camera and lenses. Some people stick to their digital phone photography. Lenses give you a clear picture of the object. There are various kinds of lenses which are smaller in size and portable. Buy those lenses and adjust them with your phone camera while Digital mobile phone Photography. Using external lenses will also make the photo quality and resolution high. The front cameras of Digital mobile phone are for clicking selfies. Back cameras of the Digital mobile phone generally have high resolution and clean than the front camera. Since you want to have brilliant photographs by your Digital mobile phone, you should always use the back camera instead of the front camera. Some people try to get good photographs using a front camera, but they fail when it comes to having a brilliant photograph. A front camera usually has the lesser resolution than the back camera. The back camera is clearer than the front. So, do not commit this mistake of choosing a front camera for professional photography. While doing mobile phone Photography, you can play with the lights. Lightnings make photographs lively and natural. It can be either natural sun light or pairs of digital lights. It is up to you which lighting system you use. Try to click photographs in natural sunlight. Sunlight is the best for every kind of photography. Since there are not so many options like a professional camera, click photos against the sunlight that make your photo look charming. On the other hand, you can hire a set of digital lights if you are shooting indoor. Locations or background are one of the major facts of having a brilliant photograph. When you want to click brilliant digital phone photograph, you should be careful about choosing the location/background carefully. A location or background can make your photo superb or worst. The location depends on your type of photography. 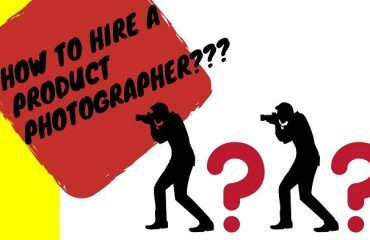 You have to choose a different background for product photography and different for portrait photography and different for fashion photography. Think before choosing the location/background. Select the background which matches with the subject. It is very important to click a clear photograph since you want to have a brilliant photograph by Digital mobile phone. Check your device if it is clean or not. Use a clean napkin to clean the lens of the camera. A lens with dust can affect your photograph by adding dust to the photographs. If you are not satisfied with the default camera and its filters of your Digital mobile phone, you can download many other camera applications on your Digital mobile phone. You will get many different types of camera apps on play store (for Android) and on IOS software. Check the best camera app on Google and download the one which ranked top in a chart. You can also give a trial to the cameras and select the required one. During smart phone photography, you may face some problem regarding your hand getting shaken when you are clicking. You your hands shake during photography, the photo itself come out shaky. The solution of this problem is using anti shaking option and set a timer when you click. Activating anti shaking option will ensure you no matter how shaky your mobile be, you photo will come straight even if the phone shakes. When you are up for photography, you surely want photographs which stand still and not of course shaky. Holding the phone at one position for a long time can be hectic as well. So you can use different phone stands to keep the phone on it and click stand still photographs. That will help you to get still photographs efficiently. Image editing apps are like blessings for Digital mobile phone photographers. 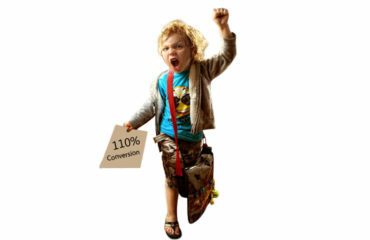 Every Image Editing Company uses Photo editing application. When you are done with photography, you need to edit the photos if your photos are not up to the mark. You can find many different image editing apps on Google which works in many ways. Some amazing works you can do by image editing apps are like Clipping path, image retouching, adding shadow, etc. These image editing tools will definitely help you to get brilliant Digital mobile phone photography. There are a lot of advantages of Digital mobile phone photography if you are able to do this brilliantly. A brilliant mobile phone photographer does not have to buy professional camera and lens spending a high amount of money. By the photographs, the photographers can get fame by showcasing them in person or in social media sites. It can create a huge popularity since the social media sites are used by a large number of populations. A brilliant Digital mobile phone photographer can earn a lot of money by their brilliant photographs captured by the Digital mobile phone. So bring out your phones, start clicking, share and become Famous! Hello, I have scan and got some confusion about two separate wings these are clipping path and clipping mask, I know about clipping path even very recently I have started to write over clipping path, but I can’t understand exactly the difference between clipping path and clipping mask, I would like to say and hope you leave a reapply with some speech over it, and hope your best. Clipping path is done for background removal by drawing the outline over an object to remove background and mostly done in one layer. On the other hand, clipping mask is applied for one or more than one layers to make some areas of the photo transparent.